How often do you extract yourself from the day-to-day of running your business to attend an event that will help you grow your business by leaps and bounds? Getting to at least one conference or summit per year that allows you to work ON the business by getting exposed to new ideas is a game-changer. This is how you can keep up on new trends in your industry, learn from top business experts and get off that entrepreneur’s hamster wheel. I recently attended the Scale Up Summit in New Orleans, created by Verne Harnish and his company Scaling Up, focused on serving business owners who are scaling from $5M to $500M. I heard several authors present powerfully on their business books and am excited to share two here that offer ideas you can apply right away in your business. Check out these notes below and then watch this Facebook Live to hear examples of how business owners just like you are implementing these best practices. 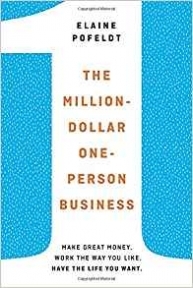 This is a great guide for any small business owner who wants to work smart not hard (one of our mantras at Million Dollar Women), and find the fastest way to scale up without hiring a huge team or breaking the bank on marketing. Business journalist, New Yorker and mom of four, Pofeldt profiles several business owners who did just that. She shares their secrets of outsourcing, automating and most of all, designing their own freedom. Brenner is an expert in strategic development and helps business owners map out a strategy to find “sumos” to partner with – companies like Google, Walmart, Starbucks and (insert the big player in your industry here). He explains this is a more efficient way to grow than just hammering on sales. 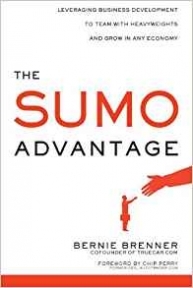 With the right sumo, you can leverage the their strengths and assets to growyour company. These partnerships can lead to large recurring sales and other long-term benefits like access to technology, increased credibility and funding. Brenner breaks down the difference between sales and business development and what it takes to be successful in each (spoiler alert: it’s not at all the same approach) in this practical book on mastering business development. I experienced the benefits of partnering with a sumo when my company Little Pim. In the early days of our business, we linked up with a sumo that helped us unlock hundreds of thousands of dollars in revenues. I tell that story and give other examples on this Facebook Live. Plan the Dive and Dive the Plan – What’s Your 2018 Strategy?